Yet this was to be all shortly changed. The next day was Sunday, and the Earl attended service in the parish church. When the followers of Desmond learned that their lord had forsaken the faith of his fathers, their hearts were utterly alienated from him. At first they tried expostulation, imploring him, on their knees, to return to the ancient creed; he refused to abandon the religion he was reared in [the Anglican church] and urged the spirit of toleration to be inculcated by the gospel. This by no means satisfied their views; they reviled him as an apostate, looking on him as a spy from England – an instrument employed to sap the foundations of their Church; and the voices which the day before uttered blessings, now inverted their prayers, and heaped curses on his head. They denied his right to the title of Desmond; every ignominy was cast on him as he passed through Kilmallock; and not being able to stir without insult and reproach, he left the town and returned to England. His death seems to have made little sensation, as the following account of it in the Pacata Hibernia shows. “The 11th (January 1601), the Lord President had intelligence from England, that James (the late restored Earl of Desmond) was dead, and that eighteen hundred quarters of oates were sent into Munster for the reliefe of oure horses”. Extracts from Kilmallock – The Balbec of Ireland, in The Irish National Magazine, And Weekly Journal of Literature, Science and Art, Saturday, July 11, 1846. 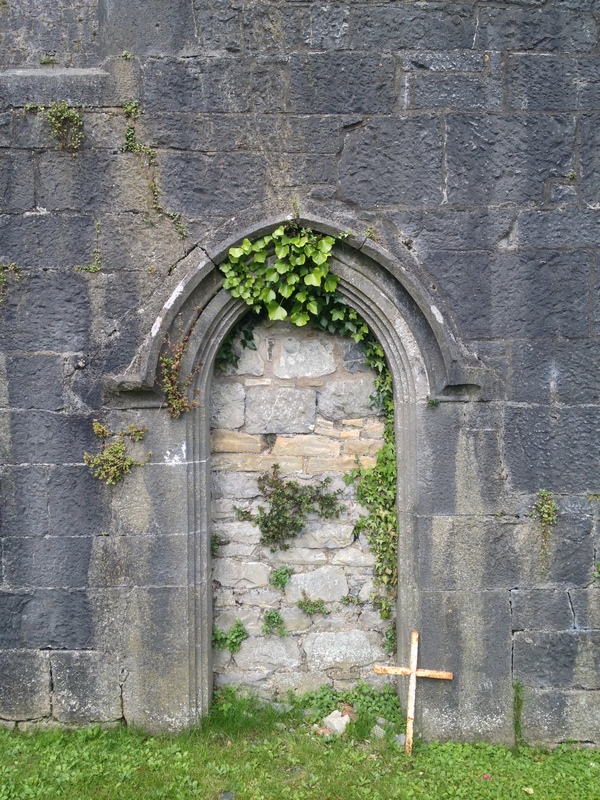 …Formerly there was an abbey of Benedictines or black monks, near St Patrick’s cathedral, at Cashell; but in the year 1272, David MacCarwill, who was then archbishop, having dreamed that the said monks intended cutting off his head, with the advice of his mother, turned them out of their abbey and despoiled them of all its revenues. Having taken on himself the habit of the Cistercian order the same year, he founded Hore abbey, which was supplied with monks of the same order from Mellifont, in the county of Louth, and endowed it with the possession of the Benedictines, for which, for such an absurd reason, he had so cruelly and unjustly deprived them. At the general suppression of the monasteries, Patrick Stackboll, who was then abbot, surrendered it the 6th of April, 1541. …It is situated on a flat, about five hundred yards from the rock of Cashell. The steeple, which is almost perfect, and about 20 feet square, is supported by a number of ogives, springing from each angle, some meeting in an octagon in the centre, and others at the keystone of the arches on which the structure is supported. The choir is about 29 feet in length and 24 in breadth; the east window small and plain. The nave is about 63 feet long and 23 broad. From The Antiquities of Ireland, Francis Grose & Edward Ledwich, 1791. From A Topographical Dictionary of Ireland by Nicholas Carlisle, 1810. From The Rise and Fall of the Irish Franciscan Monasteries, and Memoirs of the Irish Hierarchy in the Seventeenth Century by the Rev. C.P. Meehan, 1870. Rosserk Friary, County Mayo, founded by the Joyce family c.1440, burnt by Sir Richard Bingham 1590.